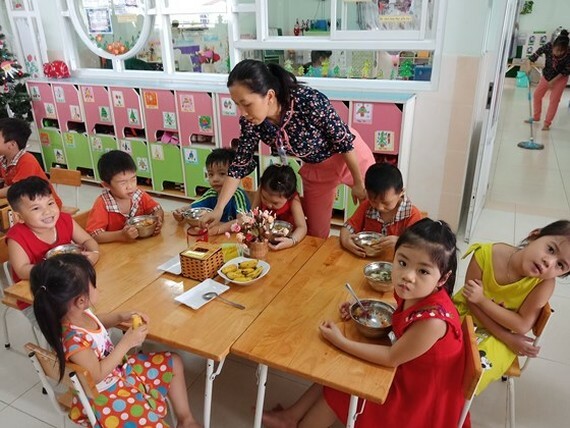 The Department of Education and Training in Ho Chi Minh City and the city People’s Committee will submit petitions of special mechanism for preschools which take care of workers’ kids to tackle the problem of schools in industrial and processing export zones. The preschool is one of the city’s public facilities taking care of workers’ kids. At the working session, preschool principal Tran Thi Tu Trinh said that the school was built from the city’s stimulus package. Presently, the school is piloting keeping kids after 5 PM. Parents pay only half of tuition fee while the rest is supported by the state budget. In the first months the school kept 425 kids but later the number of children has increased because of workers’ buoyant demand. The school was allowed to keep 530 by the Department of Education and Training . In fact, though the number of kids in school has increased, it just meets 30 percent of workers’ need. 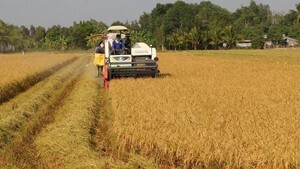 Many workers have to send their children to private schools or substandard playgroups on households near their houses. Accordingly, Deputy Director of the Department of Education and Training Bui Thi Diem Thu said that the city is embarking 18 preschool projects for workers’ children, cost of nine projects will be taken from the city’s budget while the remaining are contributed by enterprises.